There is always a struggle for yearly released games, right? Fans will demand an improvement from last year’s effort, but too much change and there could be some backlash from that. A good comparison for this is football teams and the transfer window. Fans expect their clubs to make some changes, sometimes they expect a lot of changes but never too many as it could cause issues when the team plays. It is a difficult balance, one that some clubs manage very well and others don’t. Yearly release titles also fall into these two categories. Some can handle the yearly release schedule, and others, well, don’t. The ones that can generally get away with it do not have the attention and sales figures that FIFA has. 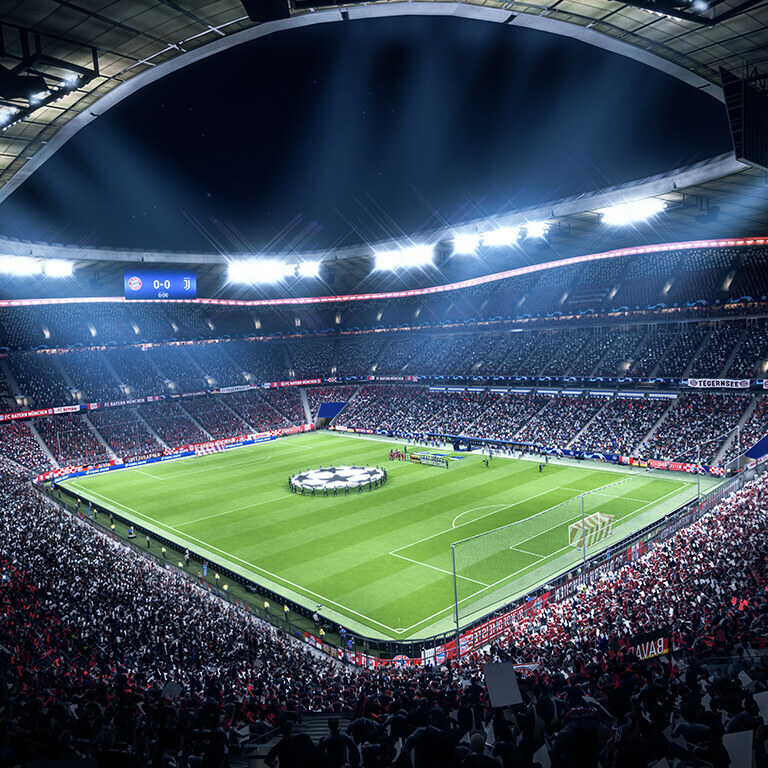 FIFA is without a doubt one of the most popular franchises there is in the video game world, and with that popularity comes intense scrutiny. So, how does FIFA 19 hold up compared to last year’s effort from EA? Luckily, you’ve come to the right place to find out. 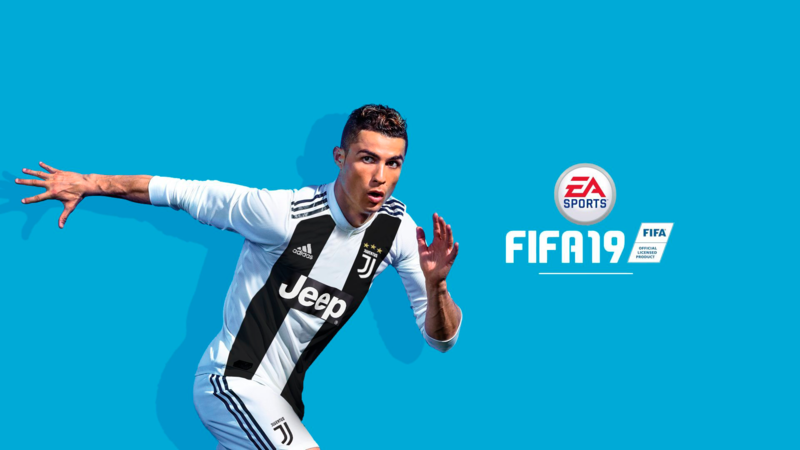 You won’t be shocked to know there are no wholesale changes in FIFA 19. Booting the game up for the first time, you might be concerned that EA has shipped FIFA 18 instead. This is, again, an instalment in the series that doesn’t revolutionise the gameplay but refines it. The more games you play, the more you will notice the changes that EA have implemented here, and it is quickly realised just how good the changes are. One of the better refinements is the Active Touch system, which allows you to control the ball in a variety of ways using the right analogue stick after receiving a pass. This, if pulled off correctly, really does provide exciting moments, just like the beautiful game does in the real world when Ronaldo receives a cross-field pass and completely wrong-foots the marking defender. It does take some practice, and at first you’ll be more like David Dunn than Messi, but it doesn’t take long to master. Another truly great addition to FIFA 19 are Dynamic Tactics. These allows you to set game instructions and formations to the Balanced, Defending and attacking tempos mid-game. This is a masterstroke from EA as you can quickly switch to an all out, all or nothing last attack in a cup final or, on the other hand, park everyone behind the ball if you are winning in a cup final. It takes five minutes or so to set up the four different tempos, and it is 100% a necessity. Shooting has also received some refinement, and you are given the option to perform a ‘timed finish’. A bit like the Active Touch system, it is simple to do but a bit more difficult to actually execute successfully. Simply put, when you shoot the ball, hit shoot again just before the player makes contact, which will increase the accuracy and power of the shot. Mistime this, and the ball will either just end up on the bleachers or bounce awkwardly out for a goal-kick. Passing might not have a fancy new named system, but it does feel really crisp, and it is starting to catch up with Pro Evo, but there is still a long way to go before it reaches those lofty heights. FIFA 19 is a step in the right direction though. The gameplay is still more of an arcade-like experience than a full-on sim, but it is less so now with the minor tweaks EA have brought in this year. 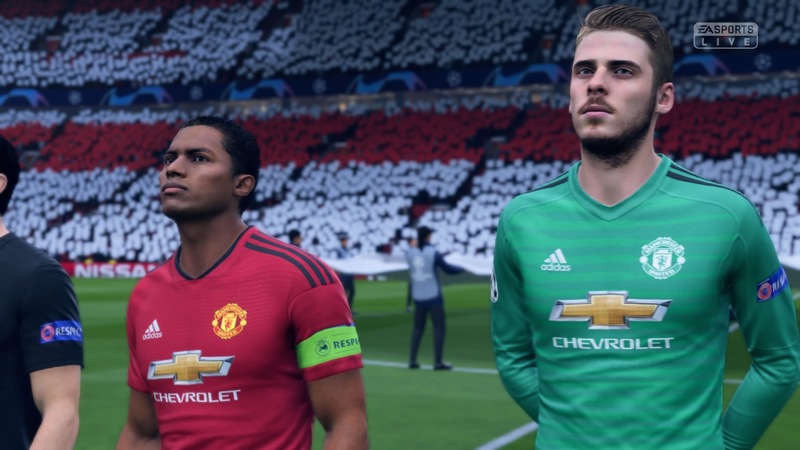 There are some other brilliant yet frustrating additions to FIFA 19 in the form of new ‘House Rules’. These are a lot of fun and are there to provide some quick enjoyment in Kick-Off. The House Rules allow you to play a game with no rules or where only goals from headers and volleys count, and best of all, play a game where the opposition loses a player every time someone in your team scores. EA wanted to create something lighthearted that someone can pick up and play without the stress of Ultimate Team or Career Mode, and it is a much-welcomed addition. The frustration, however, is that House Rules are only allowed on kick off, so if you wanted a no rules massacre with a friend, you have to go back to 1999 and invite them over! There is no option to play the House Rules matches online, which is just ludicrous. Ultimate Team, much like FIFA 19 overall, has some minor tweaks but nothing major. It still is the go-to mode for most players, and EA will continue to add little bits here and there to keep it fresh, which is more than can be said for the long-neglected Career Mode. There are new Icons to buy, with the new additions bringing in such legends like Johan Cruyff and Rivaldo. There are also division rivalries, which EA say will match you up with players of similar skill where you can compete for some weekly rewards, and the higher your division, the better those rewards will be. As previously mentioned, Career Mode is the same experience as last year’s effort. It is a mode that EA really does just seem to forget about. Ultimate Team obviously brings them in huge amounts of revenue, but Career Mode is still hugely popular and is in desperate need of some major new additions. The Journey returns for its third and final instalment. Series hero Alex Hunter has reached the pinnacle of the footballing world and signs with Spanish giants Real Madrid. In The Journey this year, you also get the opportunity to control Alex’s half-sister, Kim, and best bud, Danny Williams. It is refreshing to be able to control other players, but it doesn’t really freshen up The Journey all that much. One really great aspect of The Journey this year was being able to play as Alex’s grandfather, Jim, in his heyday. It is a bit disappointing that it is only at the very start, but it was great to witness football back when the pitches were muddy, the tackles flew in and the legend that is John Motson on commentary. All in all, if you have played the last two instalments of The Journey, you can expect the EastEnders-style dramatics with some Mass Effect-esque choices to make that really, in all honesty, don’t make a huge difference. With The Journey now coming to a conclusion, was it a success? I would say so, yes. Sure, it hasn’t set the world alight with its storytelling, and it can get a bit mundane, but when it was first announced, there were a lot of negative reactions as to what the point of it was and if a story mode could really work in a sports game. 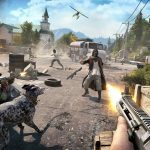 EA has answered those critiques, and overall The Journey has been a success. EA have also finally got the one thing they have wanted to get their hands on for over a decade. FIFA 19 now includes the Champions League. For the last ten years, that has solely been with Pro Evo, and PES losing the license was a huge, huge blow. 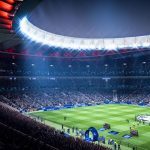 PES did a great job with making it feel like a Champions League night when you play a match, and as you’d expect, EA has pulled no punches in replicating the experience in FIFA. You are treated to the masterpiece that is the Champions League anthem, all the advertisement boards in the stadium bare the Champions League logo, and it really does feel like you’re about to sit down and watch Europe’s premier competition on a Wednesday night. Another huge inclusion to make FIFA 19 really feel like the real deal is that pretty much every stadium in La Liga is in. There are a few exclusions, like the Nou Camp and a couple of the smaller teams, but it is EA yet again doing the business in making FIFA really feel like a beautiful game. We are also treated to known commentators while playing a Champions League/ Europe League match in the form of Derek Rae and Lee Dixon. It is great to hear a brand new, fresh commentary team as the commentary from series stalwarts Martin Tyler and Alan Smith is getting a bit too stale now. The new commentary duo still suffer like any sports game commentary does when they often go off on a tangent, and you’re left asking yourself just what the hell they are going on about. FIFA 19 is an excellent football game. There is something for everyone who is a fan of the beautiful game. 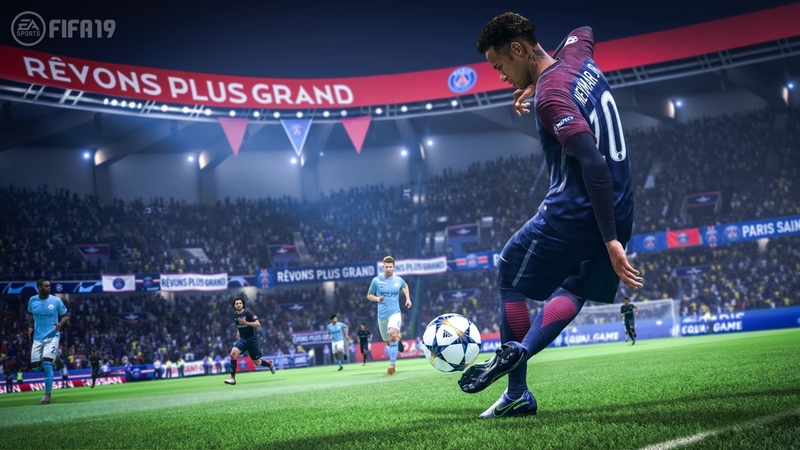 The minor tweaks to the gameplay all come together to make this the best game of football in a FIFA game for many years, and the inclusion of the Champions League is a huge, huge plus point. Ultimate Team is still the hugely popular juggernaut everyone loves, and the new House Rules matches are a lot of fun, but not including them online is a serious misstep by EA.